Don't miss your opportunity to own this charming South Side home. 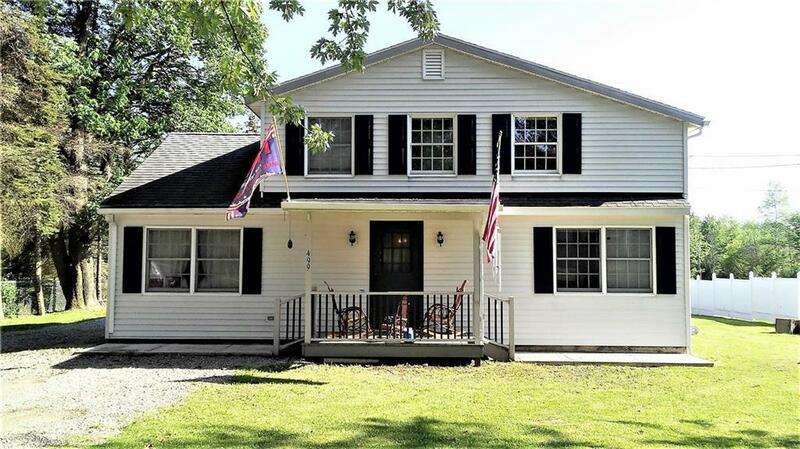 Country setting but on the edge of town, stands this 4 bedroom 1.1 bath home with 2 car detached garage on 2 acres! The inviting open concept living/dining area with gas fireplace is perfect for entertaining along with the large kitchen with island and plenty of cupboard space. The mud room with laundry and toilet off the back entrance is perfect for coming in from the pool, enjoying the acreage and fire pit or working in the garage. A bedroom with new carpet and full bath complete the first floor. Upstairs you will find the master bedroom with large walk in closet, 2 additional bedrooms and a large storage closet. This home has lots of updates, fresh paint, excellent location and affordable taxes! Directions To Property: Left Off Of Forest Home Is On The Right Look For Signs. Nearest Cross Street: Forest Ave.